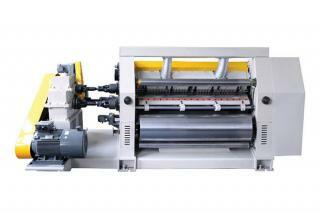 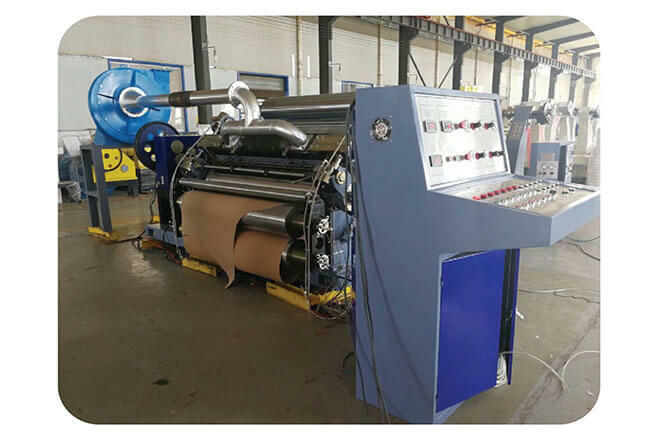 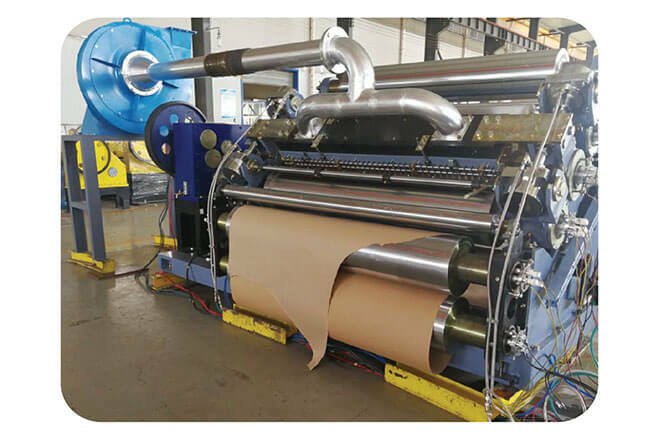 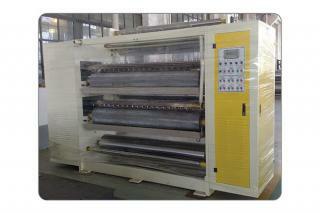 The wind machine absorbs corrugated paper to middle corrugated rollers through vacuum box and form corrugated profile. 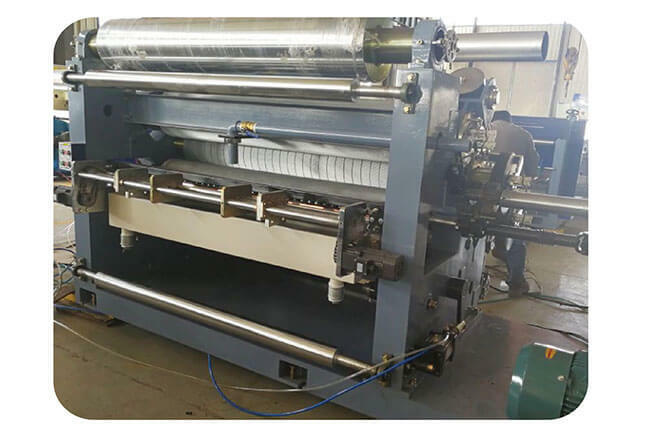 The width of wind groove of lower roller is not exceeding 2.5mm, can reduce fringe marks of single corrugated paperboard. 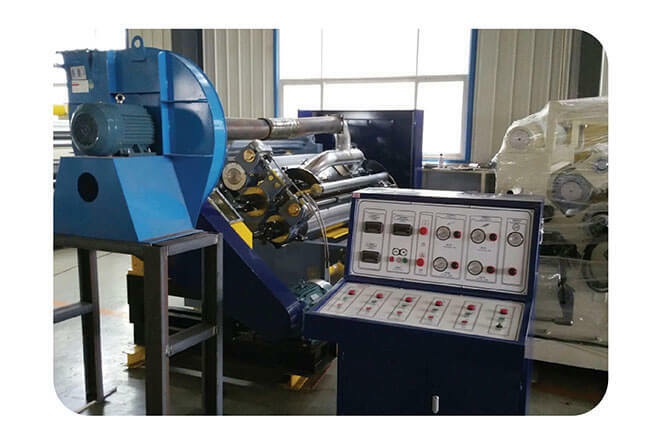 Transmission part adopt gimbal transmission, away from vibration source, and make the transmission more steady and reliable, and easy to maintain. 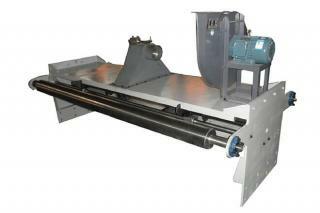 The speed reducing box is oil-lubricating, close gear transmission, and will reduce machine vibration. 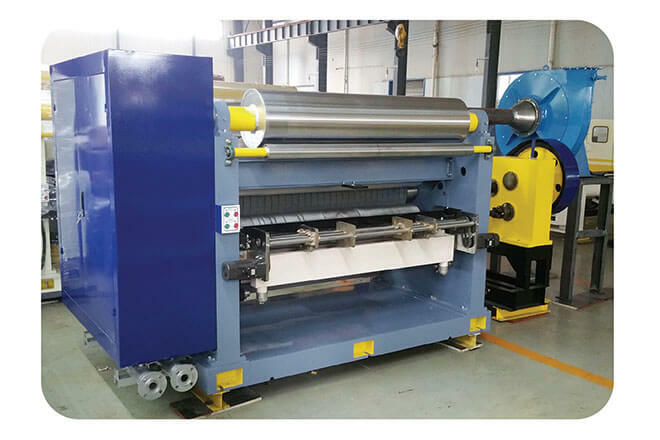 Glue area will be electrically adjusted, glue unit can be running independently when machine stopped, and prevent glue running out. 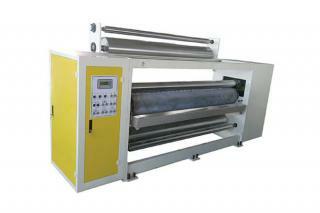 Glue unit adopts auto-supply glue circularly, pneumatically reset and has buffering effect.